” As teenagers battling oily skin we are trained to believe that the more bubbles the deeper the clean. Unfortunately, this is a dangerous myth. Bubbles don’t equal clean. Think of your dishwasher, there are no bubbles involved in the process but your dishes always come out clean. Suds strip the delicate lipid barrier that helps hold in moisture and shield against environmental assault. 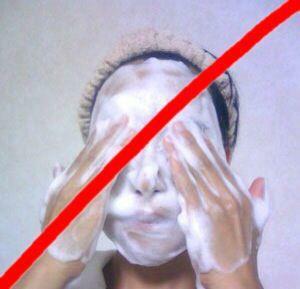 Removing it with suds opens the skin to water loss and bacteria and toxins that can irritate the skin. So what is the right cleanser for you? Don’t worry, we’ve got you covered. Rodan + Fields formulates the right cleanser for each skin issue. Each is different and works in a different way. ANTI-AGE—includes gentle kaolin and bentinite clay polishes off dry skin and smal gains containing Dimethicone –a skin protection ingredient bursts open to layer over the skin’s surface to help repair the barrier.